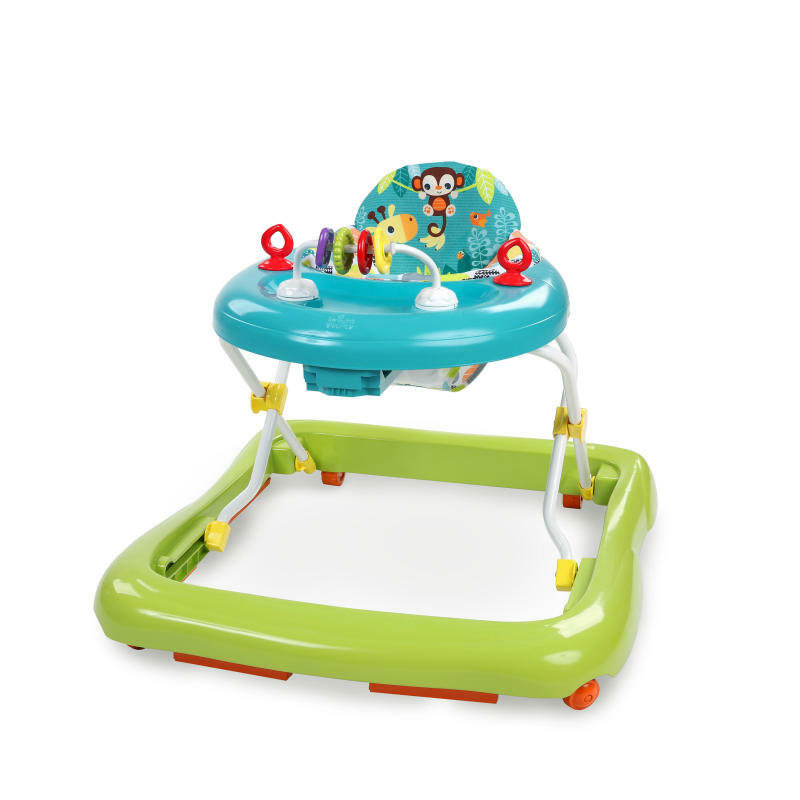 Take a walk on the wild side with the Bright Starts Giggling Safari Walker. Baby will forge his own path with laughter as he kicks, pushes and steps around the house like a true explorer. He’ll monkey around with the bright and colorful bead chaser and toy loops. The infant walker’s seat adjusts to three different heights, so baby’s toes can reach the floor, even as he grows. It is safety enhanced with rubber feet that “brake” and gives your baby a sturdy frame for walking. And when all the run-around-fun is done, you can fold the baby walker flat for easy storage. Walk like the king of the jungle!